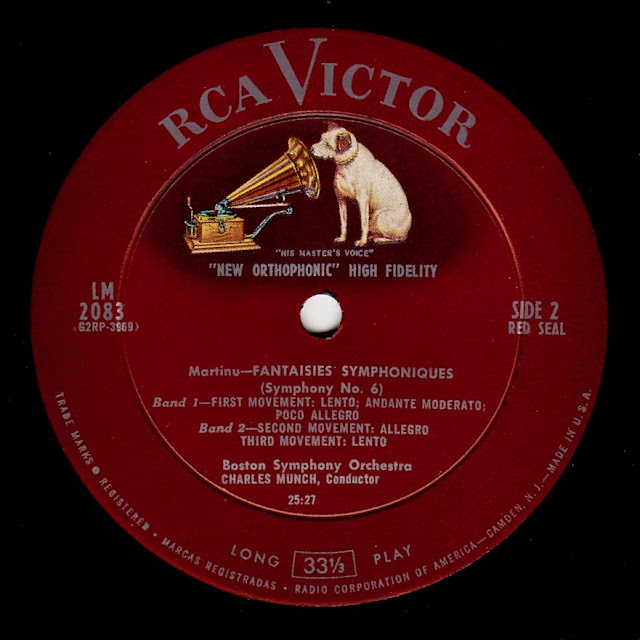 Preserving and presenting the legacy of classical music on LP in the analog era, 1950-80. 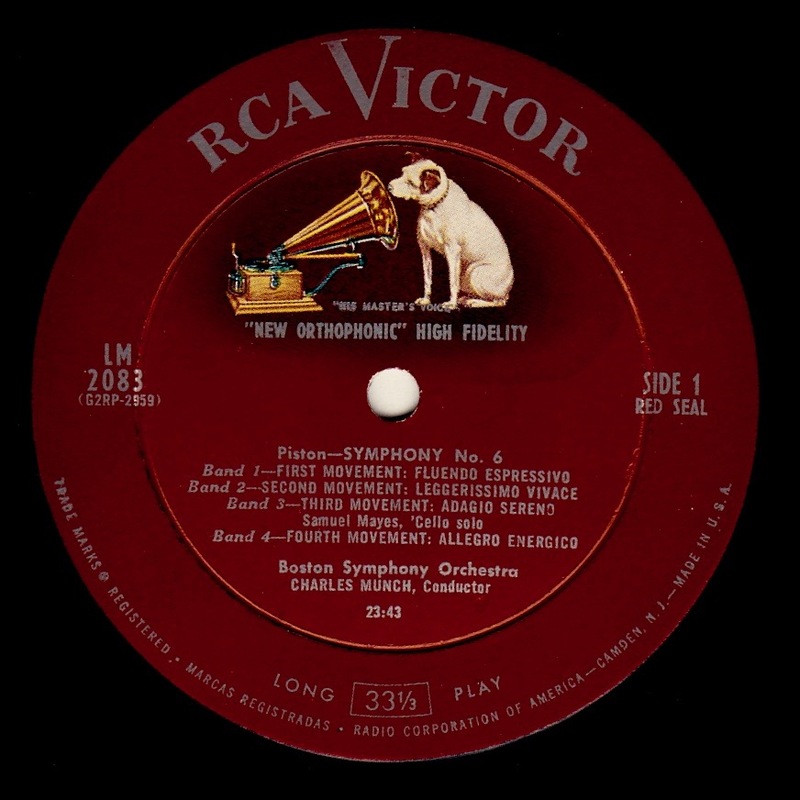 The Boston Symphony Orchestra commissioned fifteen symphonic works as part of their 75th anniversary as an orchestra. These two were among those that Charles Munch recorded for RCA. The sound is solid and detailed, with a nice mono sound brought out by my new AT-mono3/LP cartridge which I bought from a Japanese dealer. This is a "true" mono cartridge in that it responds only to horizontal motion and ignores vertical movement of the stylus. The resulting sound has an almost astonishing decrease in surface noise. Upper frequency details are much better focused. I hope you can enjoy this LP. A note: in the recently-released box set of the complete RCA recordings of Charles Munch, this LP was issued as a stereo recording. There must have been a stereo tape master made that day as well as mono. I've heard the stereo version and the soundstage is admirably wide but not so wide that there is no middle. Pick up the box set on Amazon while it is still at a reasonable price! Münch was also interested in modern music and premiered lots of composers, especially when in Boston. 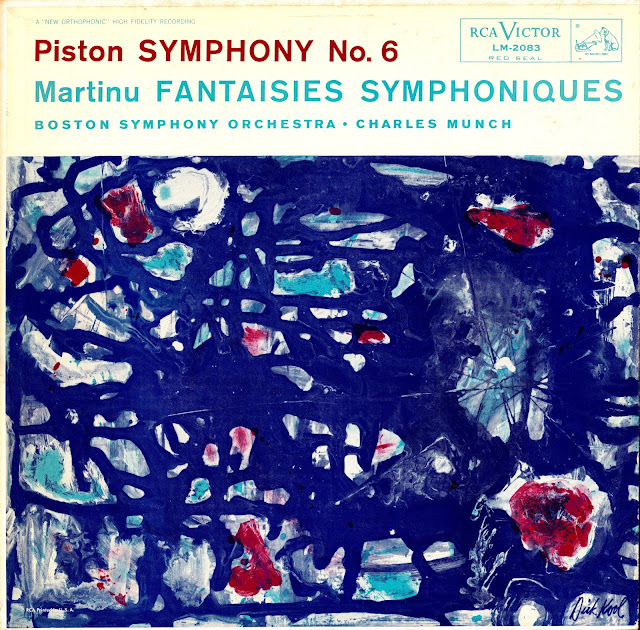 The Piston holds up well--whether in mono or stereo. I sure hope you start restoring other LPs soon. May I request Carlos Surinach's MGM LP of Silvestre Revueltas' compositions. The Homage to Lorca is one of the greatest works of its time. Thanks for the work you've done. Great choices. I have to add my admiration for your transfer of the Serly recording of the suite from "The Miraculous Mandarin." 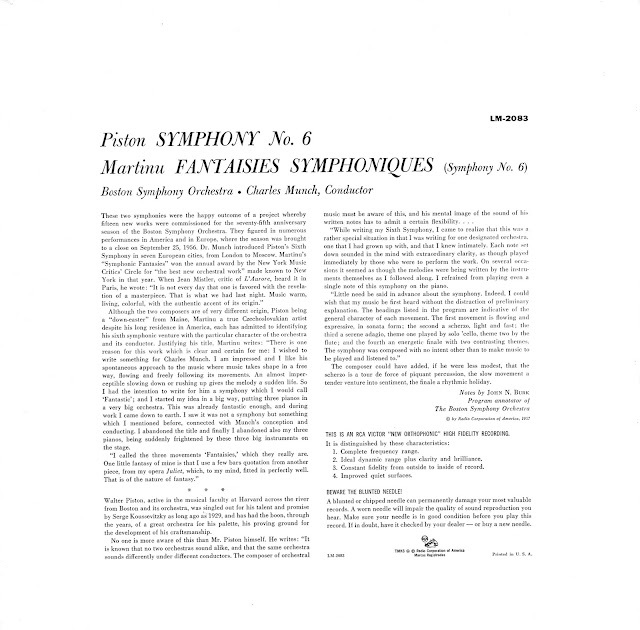 When I was a teenager I bought every Bartok Society LP I could--including "Bluebeard's Castle," "The Wooden Prince" and the First Piano Concerto. The pressings were immaculate; the mastering fabulous, and the engineering incredible. 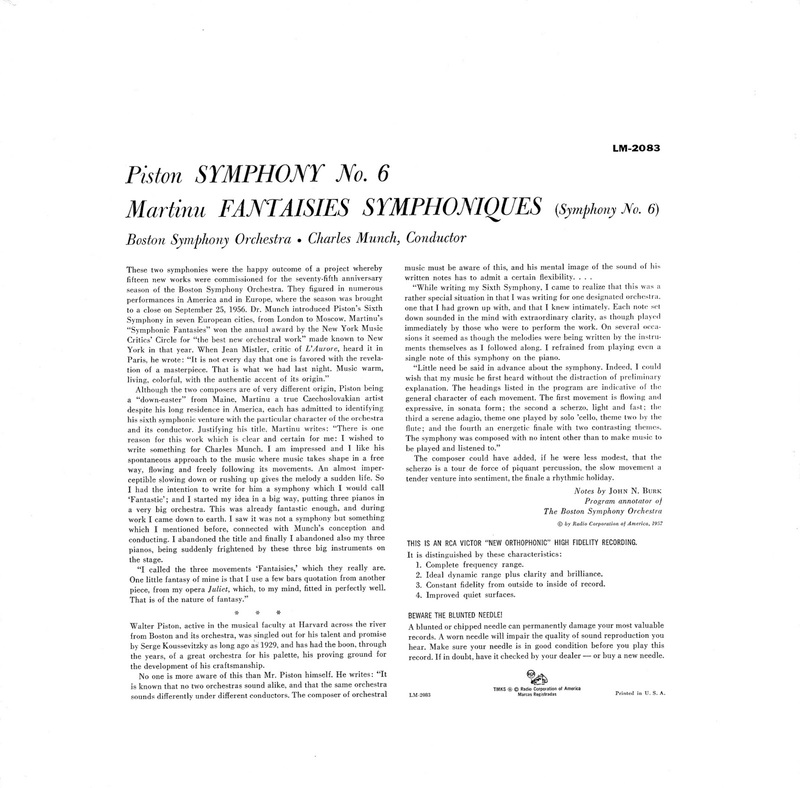 Re: Mandarin--I remember being torn between Dorati's recording for Mercury and Serly's for Bartok. If I recall, the critics favored Serly's. But Dorati treated the suite's chase-ending with an abandon never afterwards equaled. Thanks for this post.